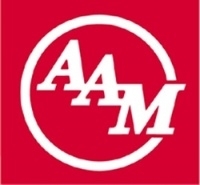 American Axle & Manufacturing Holdings Inc. said today its second-quarter net income increased 12 percent from the year-earlier period to $58.6 million. The supplier of axle systems reported a 6 percent gain in revenue to $1 billion in the second quarter, driving a 10 percent gross profit increase to $164.5 million. The supplier’s non-General Motors sales grew 15 percent to $343.1 million in the second quarter, as it continues to grow its customer base. GM is still American Axle’s largest customer. American Axle was flat in content-per-vehicle value, at $1,637 in the second quarter. Separately, the company named Michael Simonte as its new president and Christopher May as its new CFO. Both appointments are effective Aug. 1. Simonte, 51, has worked with American Axle for 17 years and serves as executive vice president. May, 45, has been with the company for 21 years, currently as treasurer.